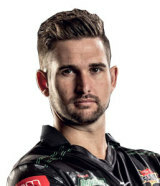 Larsen Howie are pleased to announce the sponsorship of Leicestershire County Cricket Club player Cameron Delport for the 2017 season. The left-hander made a big impression in 2016 and has started 2017 in fine form, smashing three half-centuries with a strike rate above 100 in the Royal London One-Day Cup. Delport was the club’s third highest run-scorer with 243 at an average of 34.71.